I was going through Twitter when I noticed the Dota Auto Chess Tweet and then I found a lot more. Honestly, Auto Chess is giving people sleepless nights. This game is interesting, addictive, complicated, but fun and you can play it even while relaxing. I have seen people using the remote desktop option and playing Auto Chess on their iPad. There's a bunch of people out there asking if Auto Chess is arranging any events, to my knowledge, not yet. At least there was no official announcement. I have never seen any arcade game becoming this big. The last time I saw a custom map getting this big, the map ended up being the best MOBA ever created - Dota2. Yeah, we all know Dota was a custom map of Warcraft 3: Reign of Chaos. So yes, there are some positive possibilities but I will not get my hopes up just yet. If the hype stays the same, then maybe, yes one day. Artifact not being FREE TO PLAY helped Dota Auto Chess reach millions of players. Even Artifact & Hearthstone streamers are streaming @DotaAutoChess instead of @PlayArtifact / @PlayHearthstone. People are claiming Artifact not being free-to-play helped the growth of Auto Chess but at the same time Artifact reviews on steam are mostly negative while Auto Chess is not really having a hard time pleasing the fans. I’ve played #dotaautochess for about 12 hours and I still have no idea what’s going on. I’ve come in 3rd twice and gotten 4 candies. There was a poll created by a Filipino Dota2 page, asking the fans if they would like to experience Dota Auto Chess tournament. Guess what? 67% of the fans said Yes! Remember it's a Dota2 page. We'll be holding another tournament, boys and girls! Which game would you like us to host a tournament of? And even after all this, if you are not hyped and interested, then here's something for you. You know there is something in the game when TobiWan shares his opinion on the game. 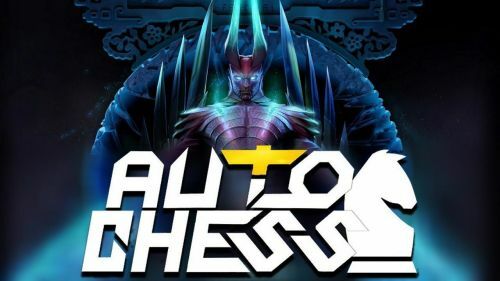 Fans are hoping Auto Chess will come out as an independent game, and maybe become part of the E-sports. I mean why not? There's not many E-sports games where you play as an individual. Most of the games are team games and Auto Chess can be a new addition to the Pro gaming scene. Honestly, I see a bright market for Auto Chess if they release it as an independent game.